Yesterday, i have a task from my boss to migrate email server from cPanel shared hosting to Zimbra Mail Server. For migrate all account from cPanel, i am usually create manually existing account on cPanel and reset password for all user if will migrate to Zimbra. If be able, my boss want every password of users not get change and migrating email seamlessly. echo "Retrieve password account $ACC"
Wow .. your boss sometimes gives you real Work . 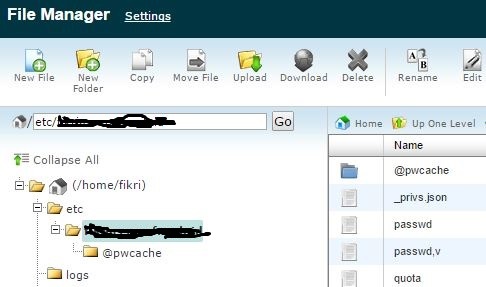 saya ingin pindahin mail accont zimbra saya ke cpanel, kira2 langkahnya bagaimana ya? Excellent solution for account migration, thank you for sharing, How did you migrate imap data in this case? without knowing the passwords . Interestingly, official Zimbra Wiki refers to rather cumbersome way of doing it through firebug. I’ve tried your tutorial but when I’m trying to log on using the same password as the cpanel isn’t working. I’m using Zimbra version 8.7.2 Collaboration. Could you share the contents of create-account-zimbra.zmp? I’ve already solved. Thanks a lot. Now I have another problem if you or anyone here could help me I appreciate it. I’m creating another script that will first sync (using imapsync) the content of the mail accounts from Cpanel server to Zimbra Server and then put the old password of the users. I’ve tested and it’s working pretty fine. to put back the original passwords of the users. As I said before it works. 1) Does any way to use imapsync or another to sync all data of users e-mail accounts from Cpanel server to Zimbra Server without reset users’ password ? 2) How to rollback users passwords in a Cpanel Server? It just replace the new shadow file with the older after reset all passwords or is there another way ? Anyway to import emails (inbox, sent, trash, etc)? Well, it is painful to transfer 1000s of account by changing each email password. Thank you for each post in this blog. I did this process, and export account was very easy, so Now I want to know if you know some kind to import data from cpanel mails from exported account to zimbra, I try to use imapsync but customer doesn’t sent me password users, so I need to know if I can to use imapsync with encripted password previously exported file? You can backup all data from existing cPanel and restore the backup to another cPanel. On another cPanel, you can reset password all user and you can imapsync their mailbox ;). Thanks for your response, I will did that in the next time, in this case I compress all mail folder from Cpanel and copy folder in Zimbra server, then I did a script to import all data from cur and new folder with addMessage option in each mailbox in Zimbra and in one hour I finished migrate all data. all steps worked for me except the last command, i got the below error, how to solve this? now accounts got created, my admin console id is admin@mydomain.com, now saying that authentication denied to login, how to solve this? - Or you can reset password with this command su - zimbra -c "zmprov sp admin@mydomain password-that-you-want"
You should use same version of your Zimbra if you want to recover your data. Hi Iman, The issue i’m having is that I installed ubuntu 12.04 LTS OS on the crashed Zimbra 8.0.2, but Ubuntu 12.04 has no more support and some dependencies are not available on their repository. (Zimbra 8.0.2 can only be used with Ubuntu 10 & 12.04). How do I go about this please?